So that you continue to look and feel great long after your visit, we have taken great care in sourcing a range of products to suit your unique requirements. Regardless of your selection you will enjoy the benefits of quality hair care products which will be a pleasure to use and provide optimal results. We are excited to introduce our brand new hair care line – Mr. Smith. This new range is an Australian made product, meticulously crafted from a selection of Australian botanicals and essential oils including lime, cacao seed and wheat protein, combined with mandarin, jasmine oil and rose geranium. Mr. Smith believes that what they leave out is just important as what they leave in. That’s why they are committed to creating products that do not contain SLS or parabens. They are never tested on animals and all of their products have been PETA-Certified. 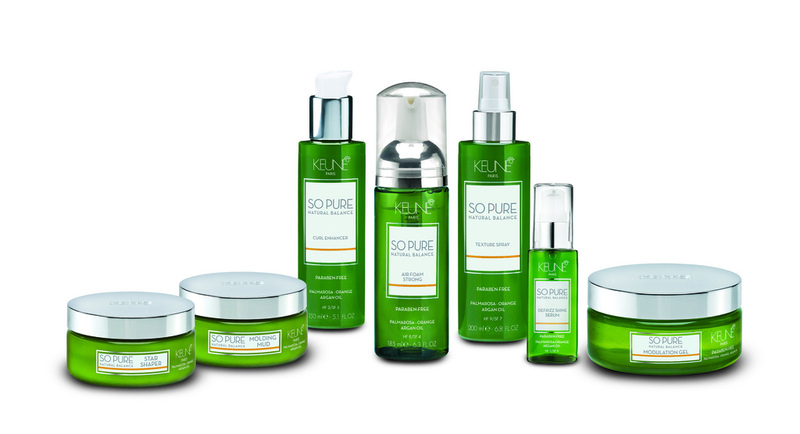 So Pure Natural Balance has been developed after many years of intensive research. Plant extracts and essential oils are the principle ingredients. Knowledge about phytotherapy, aromatherapy and homeopathy supports the So Pure Natural Balance concept. 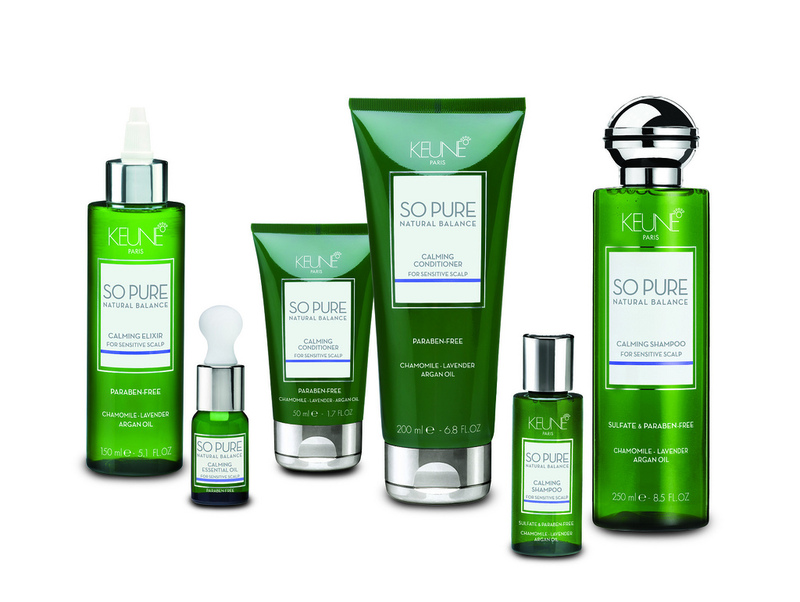 So Pure Natural Balance has been enriched with organic essential oils. The product philosophy focuses on the well-being effect and the aroma experience of 80% plant ingredients. Over 30 rich plant extracts and essential oils have been selected to create So Pure Natural Balance. Design distinguishes itself through its recognizable style of packaging and products. Distinct packaging forms the signature of the line that moves the hair. The products are distinctive through their quality. 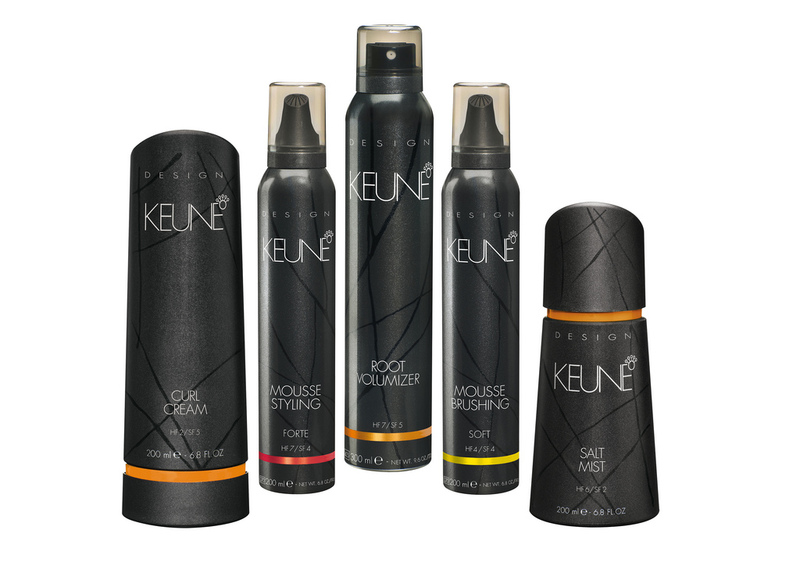 Design is salon exclusive and unmistakably Keune. All Design styling products have a DLP2(Double Layer Protection system), heat protection and they have the hold and shine factor on all products. Any type of hair can be styled by Design. Design offers the tools to create that style: however, wherever and whenever!